Now is in the short peach season. 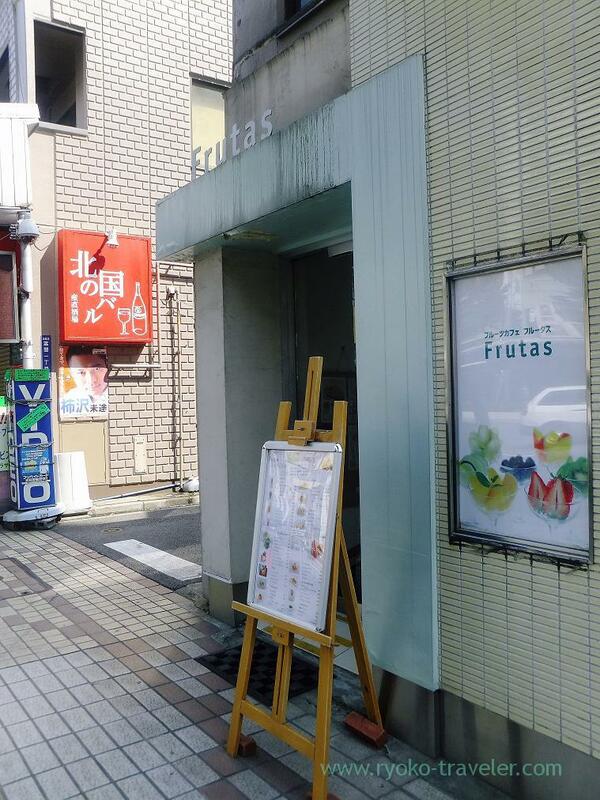 Lots of people is gathering Fruits cafe Frutas and Fukunaga Fruits Parlor everyday. Mango can be eaten all year around because it can be imported from all over the world. But peach is perishable fruits. So fresh peaches on the market is basically from somewhere in Japan. And not so far from here. 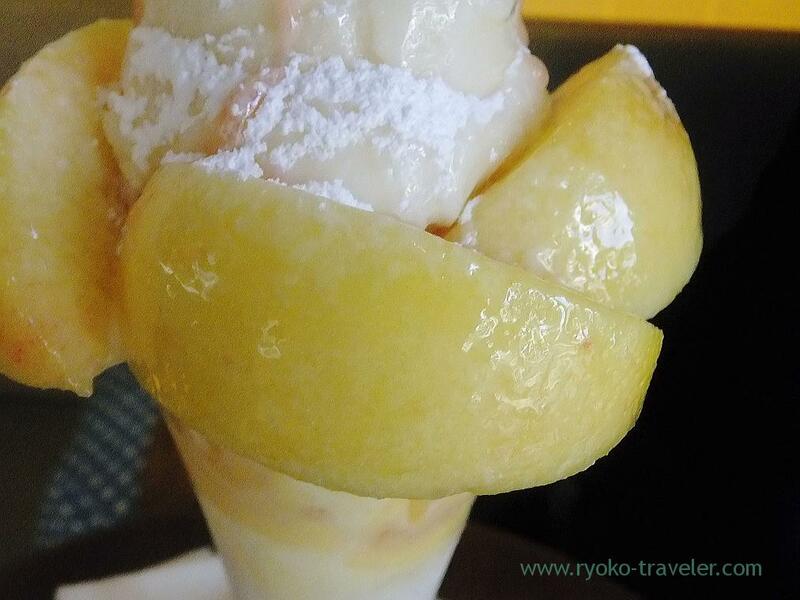 At Kanto region, most of peaches come from Yamanashi and Fukushima. Probably peaches are harvested in Chiba, too. So, we can eat peaches during best and short season only. First of all, we went to Fruits cafe FRUTAS to eat peach, too. 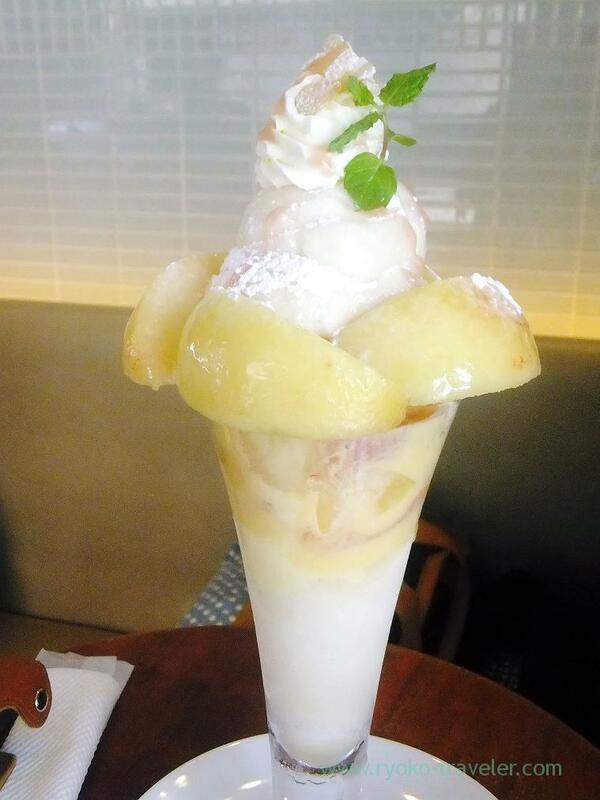 My parfait was peach parfait (桃パフェ, 1890 yen) all the same. It’s from Yamanashi prefecture. Sweet and sweet !!! By the way, it is very difficult decision which slice of peach that I take first. It seems to be fragile easily. But actually, those sorbets are so cold that all ingredients were fixed together. 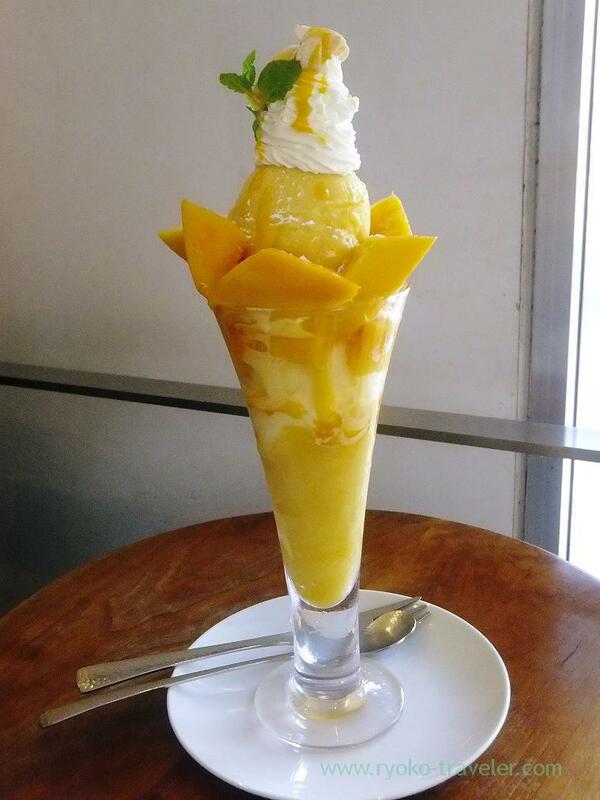 My friend ordered mango parfait. I tasted it, too. Well, it was extremely sweet. I thought mango is so sweet all the same. But ! I knew this mango was from Okinawa later. It costs over 3000 yen just for one!!! wow…. If I had heard it before tasting it, I should have enjoyed tasting it more.